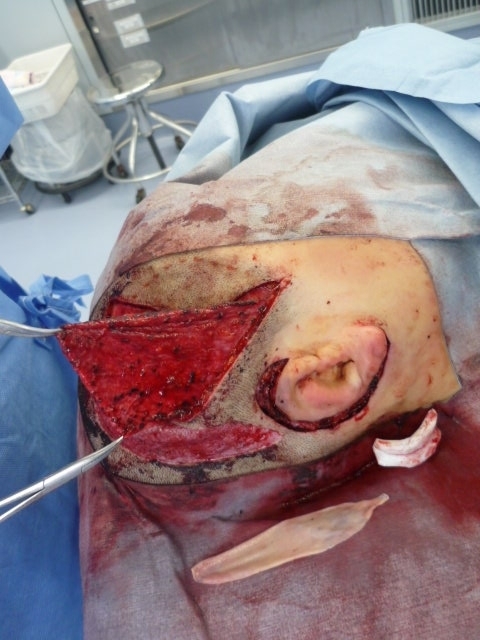 for microtia and reconstructed auricle. 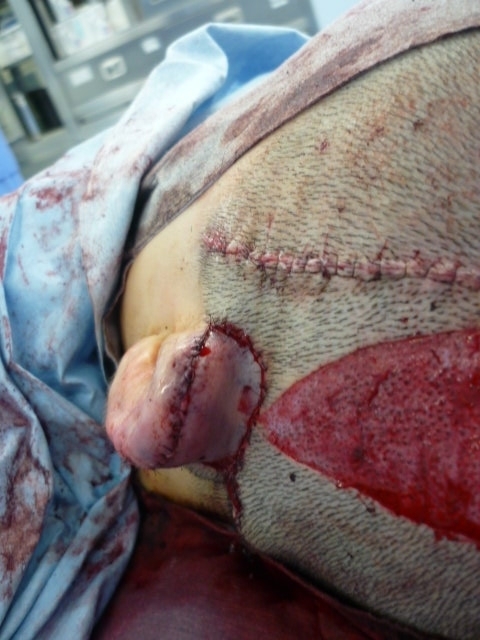 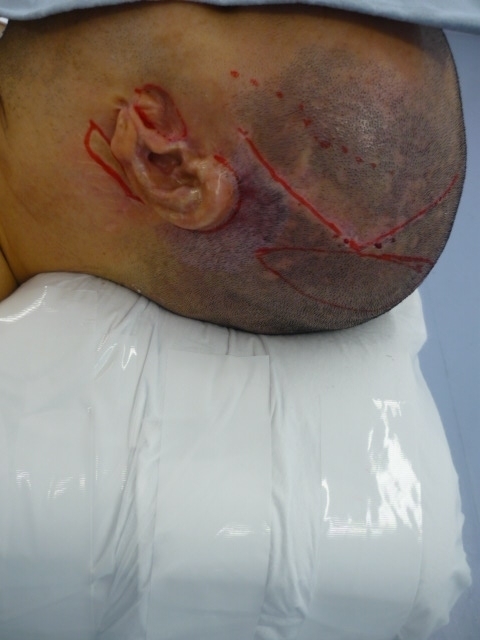 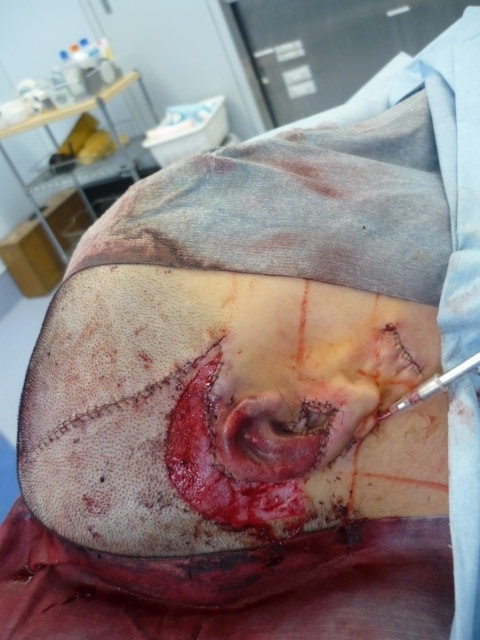 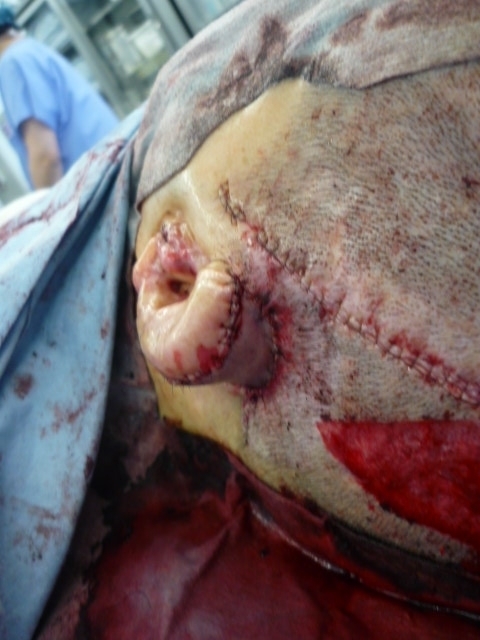 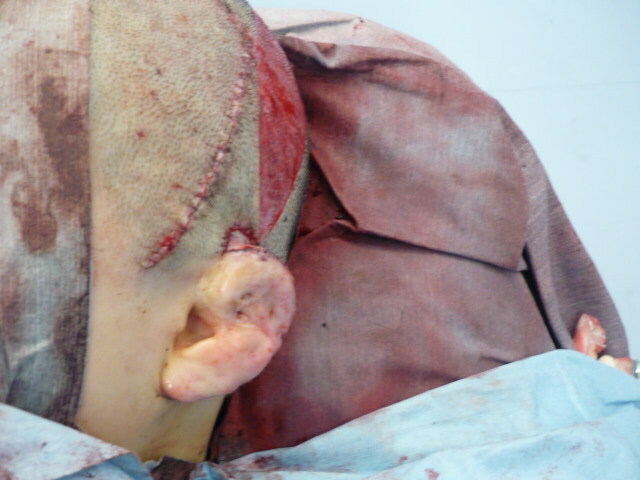 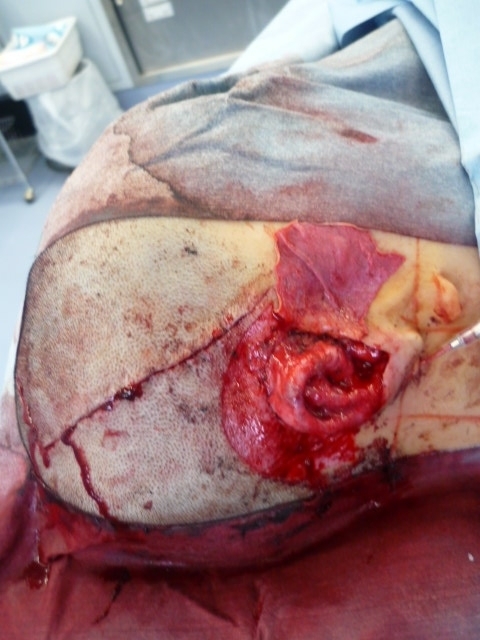 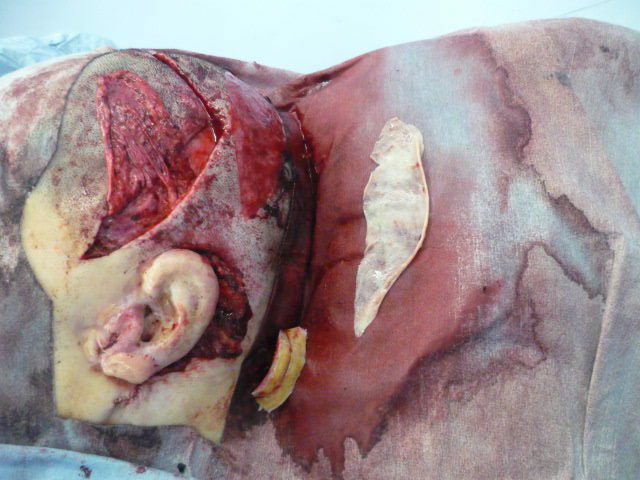 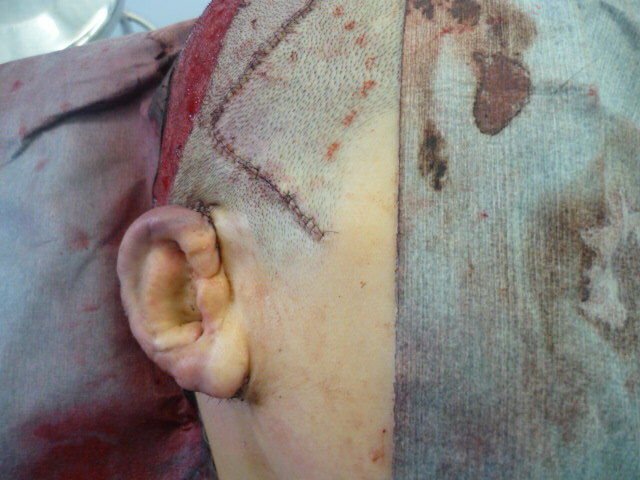 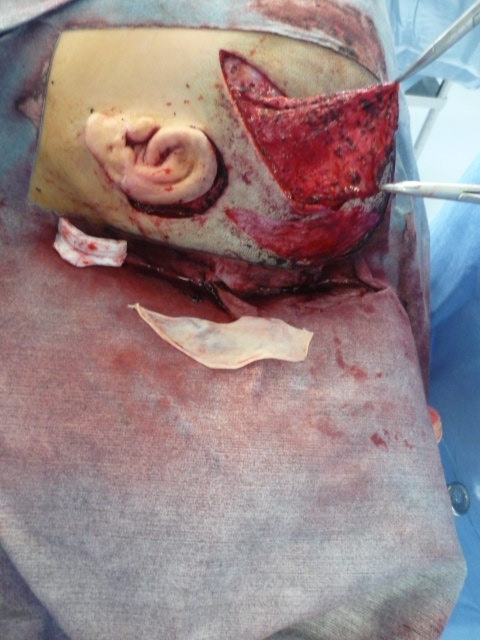 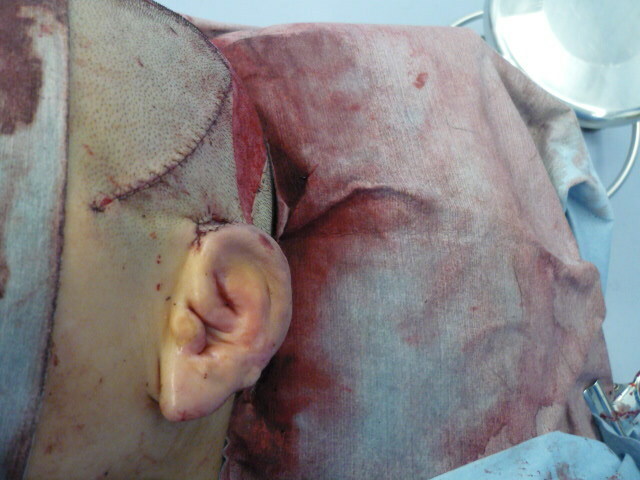 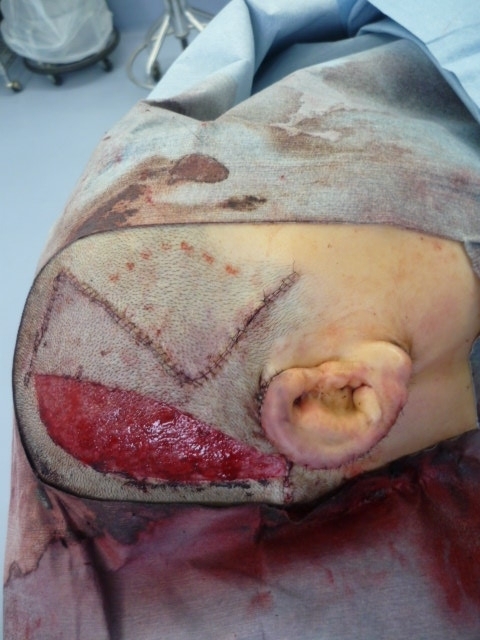 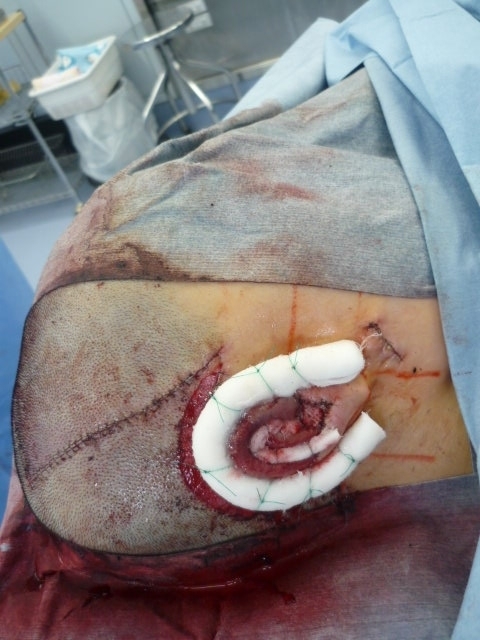 Post auricular soft tissue flap is elevated. 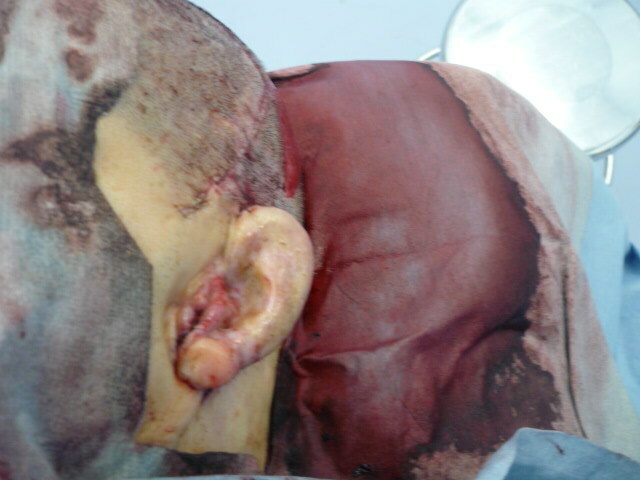 Costal cartilage is grafted under the pre-tragus portion. 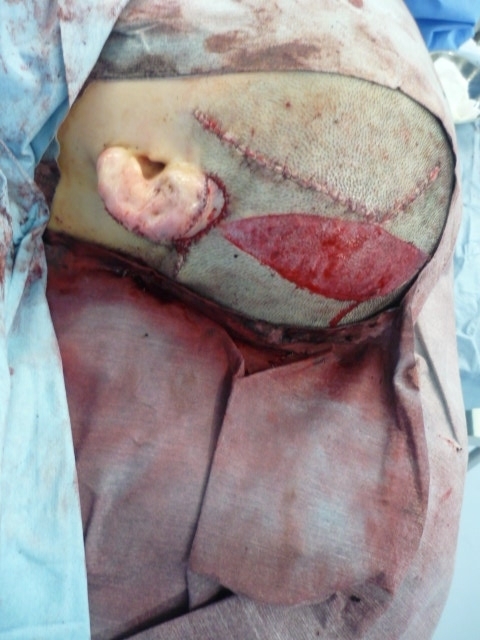 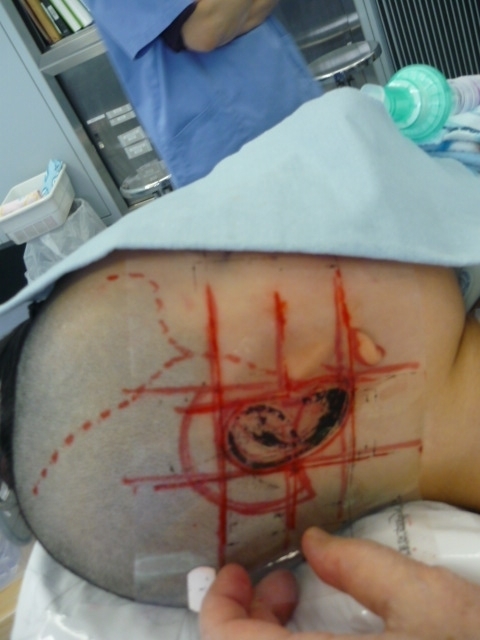 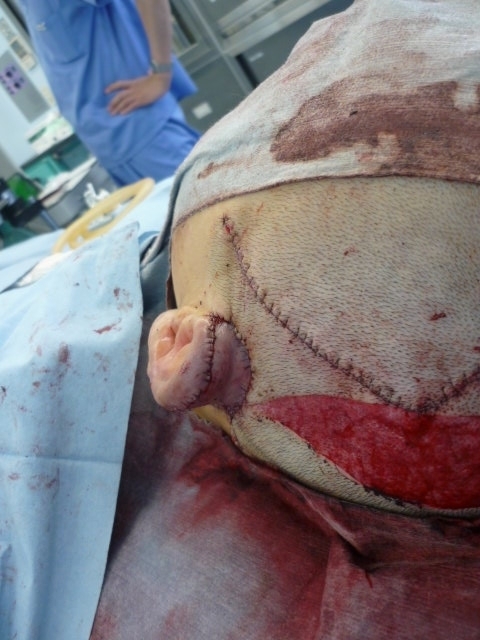 Preoperative appearance of clinical anotia. 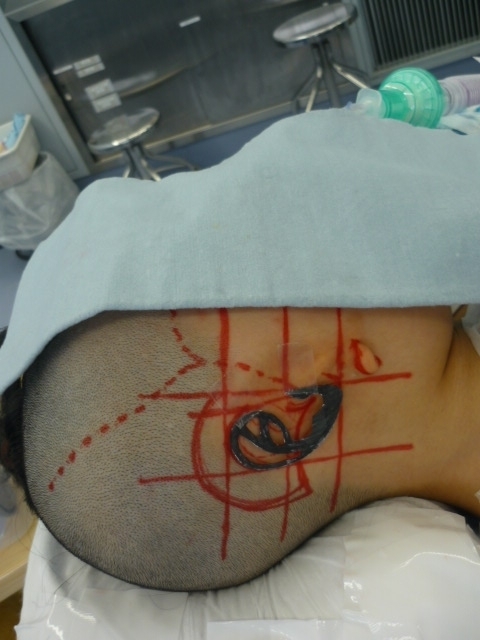 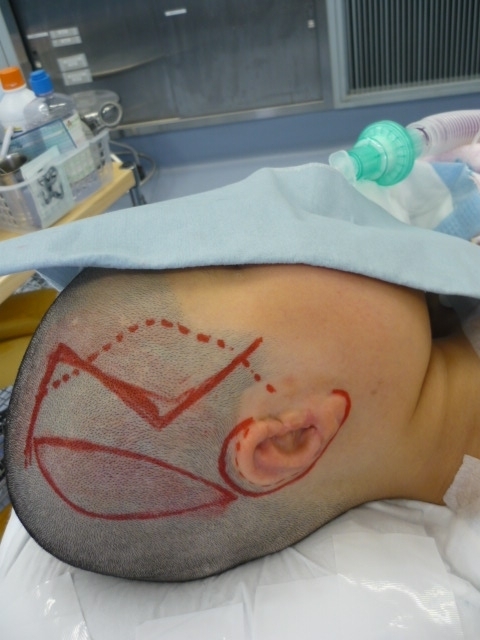 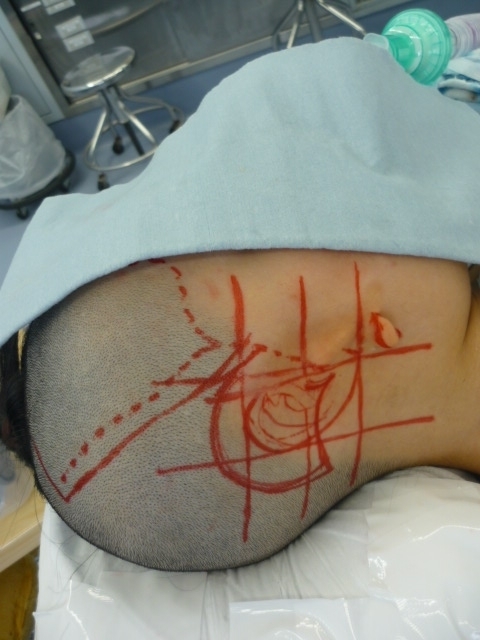 Hair follicular portion is excised. 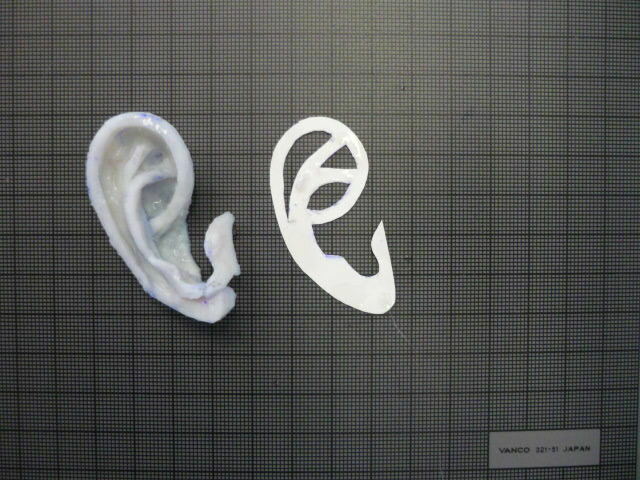 [３-D frame] and paper template. 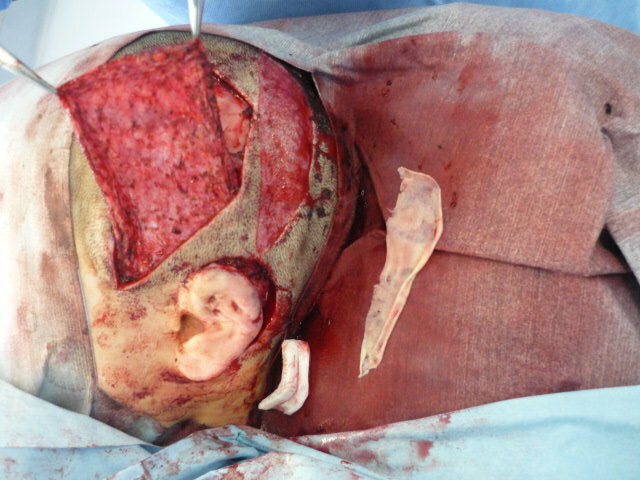 TPF porton is covered with UDSTS. 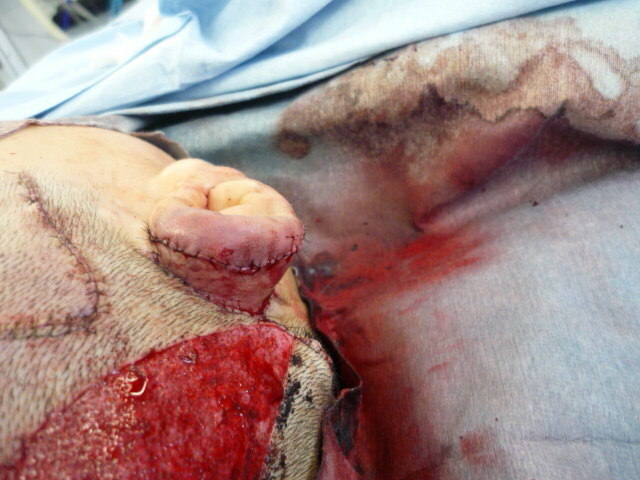 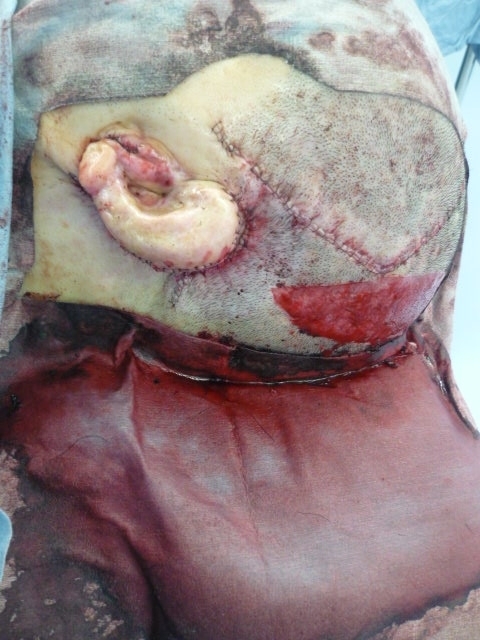 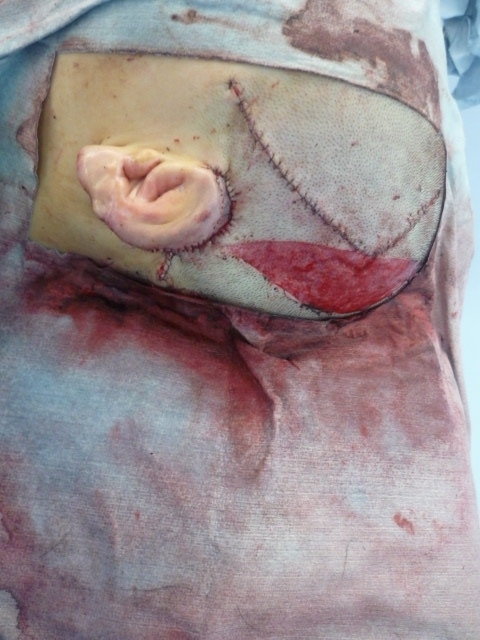 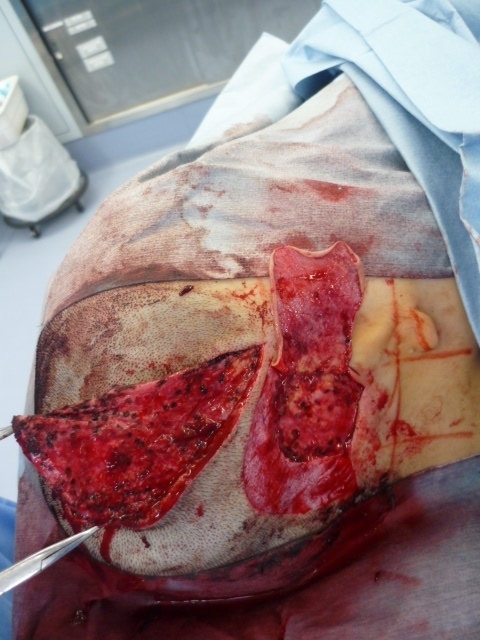 Conchal portion [TPF] is covered with lobule skin [inside out]. 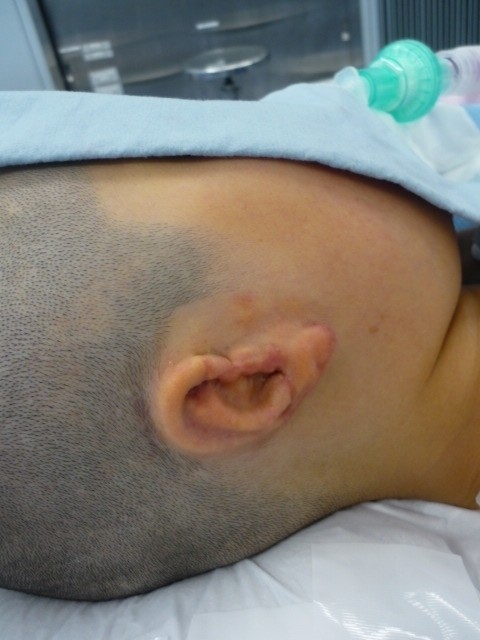 The reconsteructed auricle is projected.